A smart hub is the centerpiece of any smart home. It channels signals from all your devices so you can control everything from a single app — that way, you don’t have to juggle five, 10, sometimes 20 different apps to get the most of your technology. There isn’t a single “best smart hub,” and the market is saturated with options. We considered major factors like appeal, compatibility and accessibility when choosing our top picks to ensure we covered options most users will want for their hub. We started with a list of 17 trending smart hub models, making sure all the big players were present — household names like Samsung, Amazon and Google — as well as lesser-known brands like Insteon or Vera. In the interest of comparing features, we tested multiple models from a couple brands, including Amazon’s Echo line and Google’s Home products. We wanted the home automation hubs we tested to be approachable enough for smart home beginners, without a super high-cost entry point. That meant nixing companies that were expensive or inconvenient to get started with. Some, like Vivint, require professional installation or a monthly subscription. We didn’t include smart hub/router combos either (like the Securifi Almond) since most users already have Wi-Fi set up at home. Systems like those aren’t ideal for beginners or DIY-ers. If your ultimate goal is to have the whole house connected, then compatibility should be your first priority. 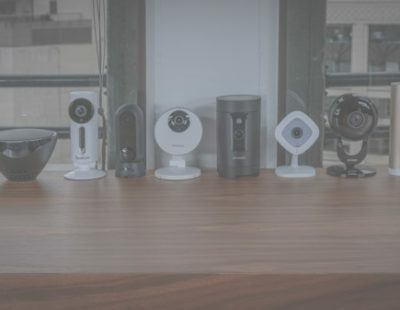 First, we looked at device pairing options, scouring the web to see how many smart brands and smart home products each hub can be paired with. 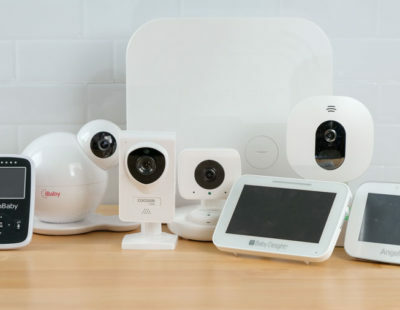 Sheer numbers were a factor, of course: Samsung’s 45-plus brand list is preferable to the Insteon Hub, which only connects to Insteon devices. But we also considered the quality of each hub’s partnering ability. We give preference to hubs that work with the most popular smart brands like Nest, Sonos, Philips Hue, Honeywell, etc. 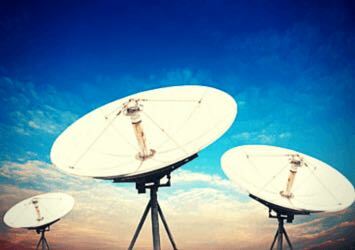 In addition to individual devices, we took wireless protocols into consideration. A “protocol” is the network that lets your devices communicate with one another. The most common are Wi-Fi and Bluetooth, but new ones like ZigBee and Z-Wave have been developed specifically for smart home use. Having a hub that supports smart protocols isn’t strictly necessary — there are workarounds we’ll touch on later — but it simplifies device connection quite a bit. We ranked each device on both initial setup and the device connection process. Most were fairly effortless to get up and running — only the Lowe’s Iris Hub felt cumbersome, asking for excessive information like a full name, home address, phone number, secure PIN and three different security questions. But the real difference came down to device setup. You’ll want a hub that links to new devices easily, so that building out your smart home won’t be a headache. If a smart hub is the brains of your smart home, then its app is the muscle. It should connect all your devices seamlessly and help them work together as one. While testing our smart hubs, we paid close attention to app design, device organization, menu options and automation features, looking for the ones that were most intuitive to use. If all you need is a basic, get-the-job-done smart hub, then your search is over. What really sets Samsung's SmartThings Hub apart from the competition is how easy it is to use, even from setup: After plugging your SmartThings Hub into ethernet and power sources, it’ll tell you to wait five to 30 minutes for configuration (ours only took 10). From there, syncing devices is a breeze. Unlike the Wink Hub or Amazon Echo, which make you log into individual accounts for each device, Samsung’s technology automatically detects and adds nearby smart things; it had our devices up and running faster than any other hub. Samsung’s home automation is incredibly intuitive and was designed with the user in mind. Its app suggests sequences like “Good Morning” or “Good Night,” and has a custom option, making it easy to set programs that fit your daily routine. You could, for instance, create a morning sequence that flips on the bedroom lights, turns the thermostat up a notch, and starts the radio playing automatically at 8 a.m.; all that’s left to you is actually getting out of bed. 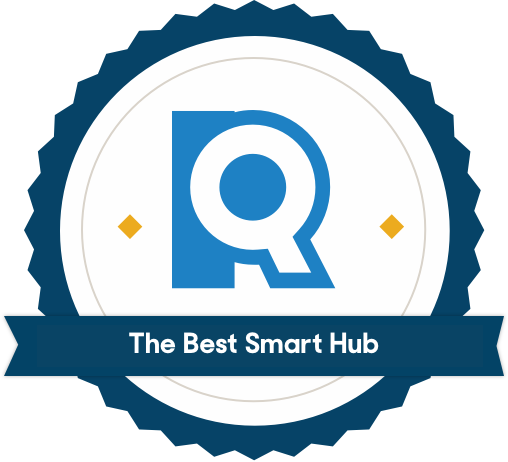 Most of the smart hubs we tested offer some version of this service, but not all of them were as useful as Samsung’s. The reason we like Samsung best for an all-out smart home is that it connects seamlessly to more devices than either Amazon Echo or Google Home. It’s specifically built to support smart home-focused wireless protocols including ZigBee, Z-Wave, Cloud-to-Cloud and LAN. 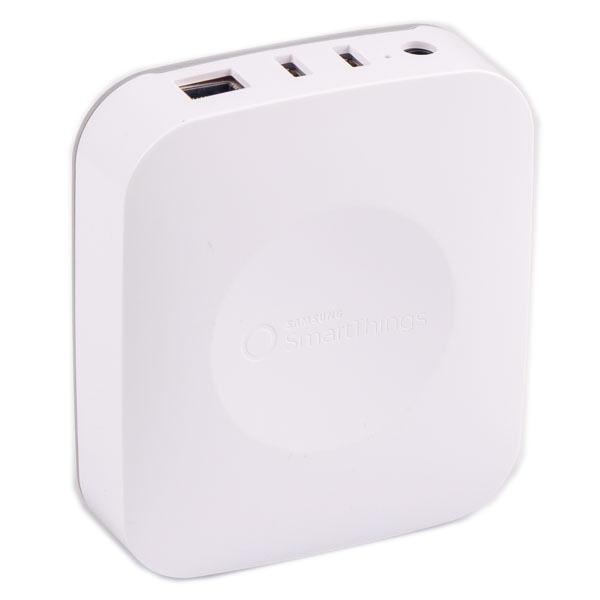 Devices that run on these networks will connect directly to the SmartThings Hub, whereas the other two may require an external bridge or an additional hub. Samsung cuts those intermediaries out, making it simpler (and less equipment-heavy) to keep all your devices in sync. One major drawback is that the SmartThings Hub doesn’t come with the same built-in perks as the Amazon Echo or Google Home. There’s no speaker included, and you’ll have to purchase a second device if you want to use voice control. The SmartThings hub will get everything in your home connected, but doesn’t go above and beyond the call of duty. That said, Samsung’s hub is the cheapest of the group and a great starter hub for those testing out the smart tech waters. Amazon's Echo Plus has a few perks that neither the Samsung SmartThings nor the Google Home can match. Namely: Alexa. Amazon cornered the market for voice control technology early on and remains at its leading edge. As of September 2018, Alexa has an arsenal of more than 50,000 "skills," from maintaining your grocery list, to tracking packages, to booking a vacation (and most anything in between). While not all of these skills are necessarily worthwhile, Alexa’s list unquestionably trounces Google’s — which was resting at just under 2,000 skills at last count. Automation features similar to Samsung’s allow you to say “Alexa, start my day,” and she’ll run through a customized sequence (turn on lights, announce the weather, check traffic, etc.). 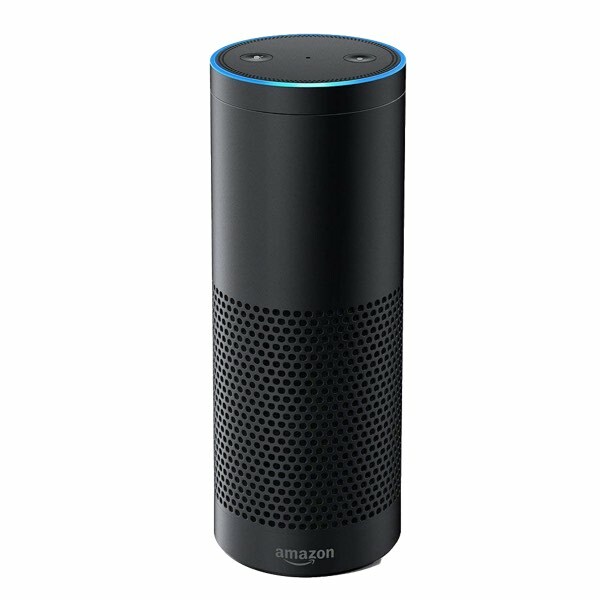 In addition, Alexa can integrate with third-party apps. That means you can, for example, ask her to “Request an Uber ride from home to Safeway,” and a car will be on its way to take you to the store. Amazon upped the ante with its smart speakers by integrating a ZigBee hub into the Echo Plus. This makes linking compatible devices as effortless as it is with the Samsung Hub — just plug them in and you’re good to go. Echo Plus users can immediately connect to the full range of ZigBee-enabled products — including Philips Hue lighting, Kwikset locks, ADT home security hubs, and more. By comparison, the original Echo and its offspring make you weed through multiple steps and sign-ins before you can start using any device. We originally tested the first generation Echo Plus, but in September 2018 Amazon announced a second-generation Echo Plus with an all-new design. Like the first-gen Echo Plus, the second-gen has a built-in Zigbee hub that makes syncing smart devices quick and easy. Rather than the plastic exterior, the second-gen is enveloped in a fabric, which we found more aesthetically pleasing. It also has a more powerful speaker and a temperature sensor. The temperature sensor is a new feature for the second-generation Echo Plus and allows for more control over the smart devices in your home. For example, if the Echo Plus senses a rise in temperature, you can set it to automatically lower the thermostat. While the second-generation Echo Plus has a stronger speaker, it’s not as powerful as it could be — particularly when it comes to lower frequencies. In addition, you can’t have two speakers playing unless you’re streaming music — which means you can’t use the stereo pairing feature if you’re not connected to an internet connection. 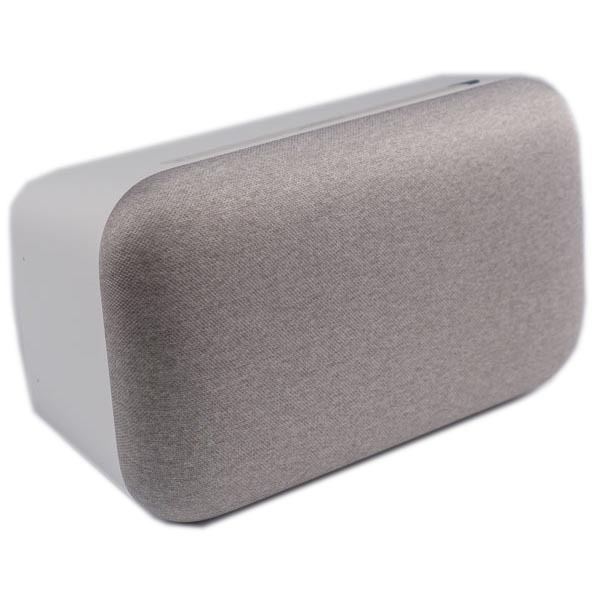 Customers note in Amazon reviews that, if you want a smart hub that also doubles as a high-quality stereo system for music, you might be better off with the Google Home. The Google Home Max is built for deep, rich, big sound. It houses two 4.5 inch woofers, two 0.7 inch custom tweeters and six class D amplifiers. If that sounds like gibberish, think of it in CNet’s terms: “the Google speaker exhibited a huge sound… All of the elements are treated equally, and none of them jut out awkwardly.” To get comparable sound from another smart hub, you’d have to pair it with something like the Sonos Play:5 — which performs similarly, but costs a lot more. Though often branded as a speaker, the Google Home Max makes a pretty strong case as a smart hub. Like Amazon’s Alexa, Google Assistant lets you control your smart home devices with voice commands. You can toggle switches on and off, control home security devices, set automated routines, and so on. If your house is set up with Chromecast, Google Home also makes it easy to control what’s streaming on the TV or through connected speakers — making it an attractive media center. Google Assistant is able to recognize different voices and tailor its responses accordingly. That means that if you say “Hey Google, let’s go to work,” the Home will check traffic on your commute, read out your calendar, adjust the smart devices you programmed — but if your roommate gives the same command, it will check traffic on their commute and so on. This makes Google Home uniquely fit for multi-user smart homes. There is a tradeoff in connectivity when you choose Google Home over the Samsung Hub or the Echo. With Wi-Fi and Bluetooth capabilities, the Max is compatible with a fair number of smart home gadgets right off the bat. However, Google hasn’t yet added a ZigBee or Z-Wave hub like Amazon did with the Echo Plus — which means connecting devices on these newer protocols will be a bit of a hassle. You may have to purchase additional bridges or even pair the Home Max with another hub (like the Samsung SmartThings) for more options. A good way to figure out which smart home hub will work for your home is by exploring which smart home products and brands you’re most interested in. If you envision a simpler home automation system — only wanting to pair your smart home hub with your Chromecast and a Nest thermostat or using it to play music and check your daily schedule — then a Google Home Max is a good choice. However, if you’re dreaming of outfitting your system with everything from smart light bulbs to smart locks, the Samsung SmartThings hub is a better option. Before purchasing, look at the brands and products you have and the ones you want to make sure they will pair easily with the hub. Many people like voice assistants for their convenience — they make managing your home automation system simple and handsfree. However, they aren’t for everyone. If you don’t mind using an app to control your smart home, or don’t see yourself asking a voice assistant to perform tasks or check the weather, you’ll probably be fine with a basic smart home hub. Think about your smart home needs and if a voice assistant is a necessity. Smart home hubs are increasing in popularity and, because of that, they often go on sale. Amazon, for example, will often discount the Echo Plus and its other hubs on big shopping days like Prime Day and Black Friday. Always look for deals on smart hubs before buying full price and consider waiting until Prime Day or the holidays before making your purchase. Do I need a home automation hub? It depends on what devices you plan to use, and how many. A versatile smart home hub like the Samsung SmartThings is a must if you plan on getting the whole house connected. Without it, you’ll end up controlling everything from separate apps — which isn’t much “smarter” than just getting up and flipping a switch. But there are a few situations where it makes sense to skip the hub entirely. If you only want to automate one component of the house — say, lighting — then you can stick with a single brand like Philips Hue and just use the manufacturer’s app. A “protocol” is the network that lets your devices communicate with one another. The most common are Wi-Fi and Bluetooth, but new ones like ZigBee and Z-Wave have been developed specifically for smart home use. 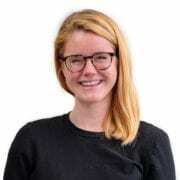 Having a hub that supports smart protocols isn’t strictly necessary — there are workarounds — but it simplifies device connection quite a bit. What’s the difference between a voice assistant and a smart home hub? A voice assistant is a software that lives within a device and lets you perform tasks like setting an alarm or looking up a recipe via voice commands. Most smartphones now come equipped with voice assistants. Amazon’s Alexa and the Google Assistant are two of the most popular voice assistants. Smart hubs connect devices under one home automation system and let you control these smart home devices through a single app. Smart hubs can include a voice assistant, but don’t have to. A voice assistant is a software that lives within a device and lets you perform tasks like dimming smart lights or looking up a recipe via voice commands. Amazon’s Alexa and the Google Assistant are two of the most popular voice assistants. Smart hubs connect devices under one home automation system and let you control these smart home devices through a single app. Smart hubs can include a voice assistant, but don’t have to.